PSRX Volkswagen Sweden’s Johan Kristoffersson claimed TQ (top qualifier) in the final round of the 2018 FIA World Rallycross Championship at the World RX of South Africa with another quickest time in Q4. The World RX Drivers’ Champion took the hole shot in Q4 Race Four and led for the four lap race to take the quickest time and beat Team Peugeot Total’s Sebastien Loeb by the closest of margins to be TQ in the last round of the season. Loeb was second quickest in a twothree for Team Peugeot Total. 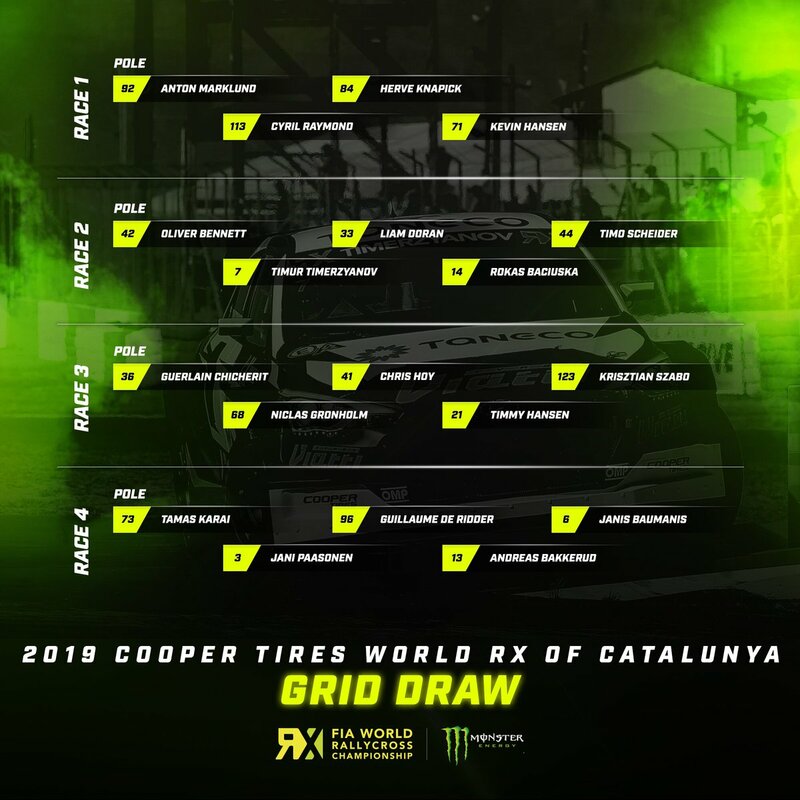 His team mate Timmy Hansen is third in the Intermediate Classification and will start on the front row of semi-final one next to Kristoffersson. Loeb will be joined by PSRX’s Petter Solberg on the front row of semi-final two. EKS Audi Sport’s Andreas Bakkerud was third quickest in Q4 with a win in Race Three and moved to fifth in the Intermediate Classification. He will start the semi-finals this afternoon on row two of semi-final one with Peugeot’s Kevin Hansen alongside. EKS’ Mattias Ekstrom tried an around-the-outside move at the first corner in Race Four of Q4 and qualified sixth, he will start on the inside of row two in semi-final two with GC Kompetition’s Anton Marklund joining him on the grid. ALL-INKL.COM Muennich Motorsport’s Timo Scheider and GCK’s Guerlain Chicherit will compete the semi-final two line-up as Team STARD’s Janis Baumanis and GRX Taneco Teams’s Timur Timerzyanov will start on the third row of semi-final one. Norway’s Ben Philip-Gundersen took TQ in the final round of the RX2 International Series with quickest time in Q4. Title rivals Guillaume De-Ridder and Oliver Eriksson were second and third in the Intermediate Classification. Find full results from Cape Town RX here.